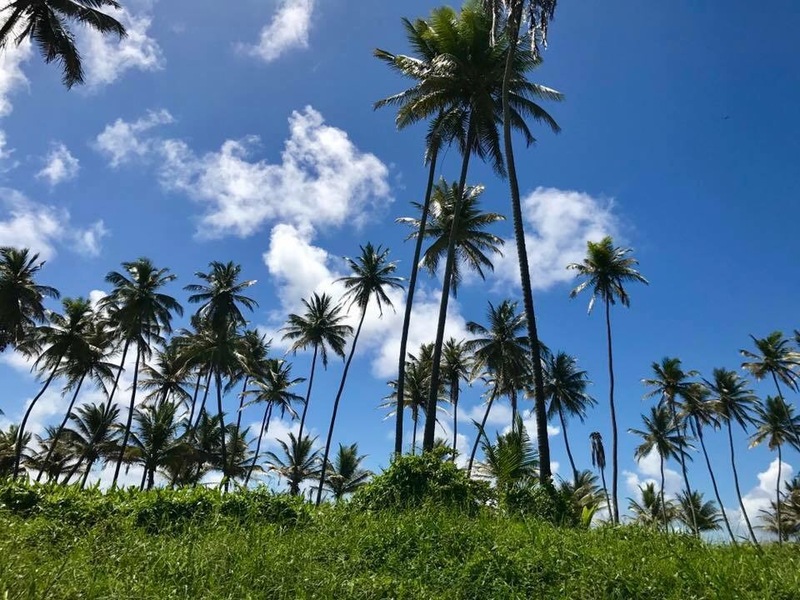 After the soccer camp in Trinidad and Tobago – that’s what I’m calling it – for Tin, it was hard work – we spent a couple of days at a seaside town called Mayaro. I enjoyed the drive down – once we were out of the narrow streets with people and cars all over the road. 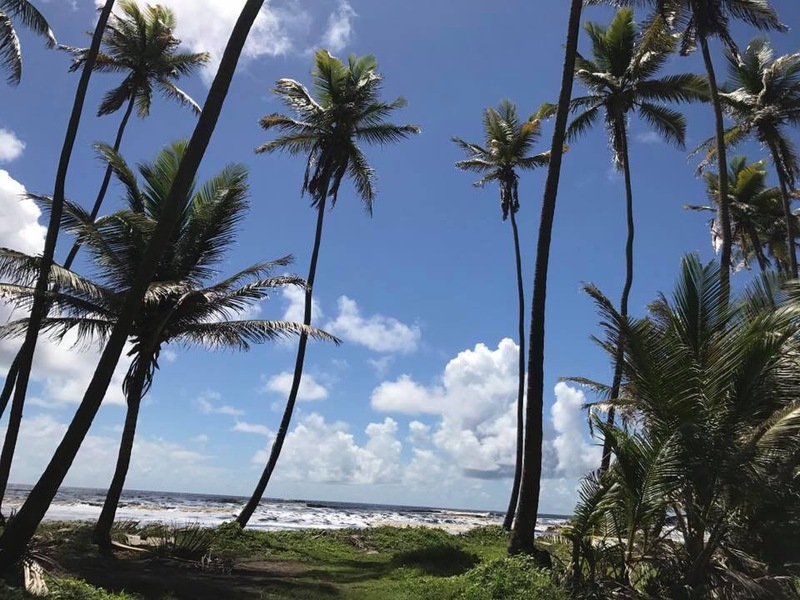 I loved seeing the tall coconut trees on either side, specially on the sea side. It was hot outside, but the air was cleaner and fresher. There’s fewer trees now, hubby says. Apparently, both sides of the road was thick with coconut trees before. I forget which it was – a fire or a flood – that damaged the land and the trees. So this is still in the process of rebuilding the thick grove they used to have. The sea was frothing at the shores. Don’t know if you can see it in the picture here, but those white bubbles were not waves breaking on the shore. Perhaps it was because of some storm system off the shores, or maybe it was pollution, but apparently, when the sea is frothing, they say that the sea is cleaning itself. Wait … but that means that the shores and the land are now polluted? Or will it be absorbed by the soil, and all is well? Isn’t it ‘wash out to the seas’, wash off something? I guess it works either way for Mother Nature. Wash off or wash out … Whichever works best for her.